This Galway Irish Crystal bowl is a retired design that is limited to stock on hand. 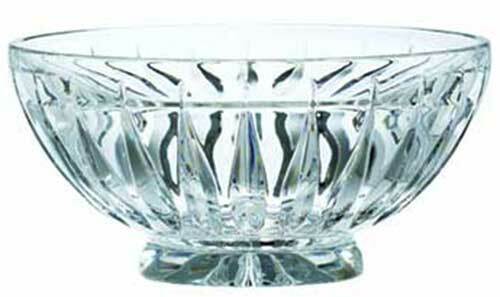 This Irish bowl features the cut crystal motif of the Clara pattern. The Clara bowl is a footed design that measures 5" tall and is 10" wide at the rim.